Hardy's favourite of his own novels; a powerful work with brooding sexual undertones, ahead of its time in addressing themes of divorce, social inequality and land tenure. Now a film starring Rufus Sewell. Grace Melbury, the only daughter of a timber-merchant, arrives home in Little Hintock after an expensive education and her father looks to find a husband for her. There are two rivals for her hand: Giles Winterbourne, a good-hearted yeoman and her childhood sweetheart, and Edred Fitzpiers, an ambitious young doctor of good family. Fitzpiers wins her, but the mismatch brings unhappiness not just to the young couple, but to a wider circle in the woodland community. 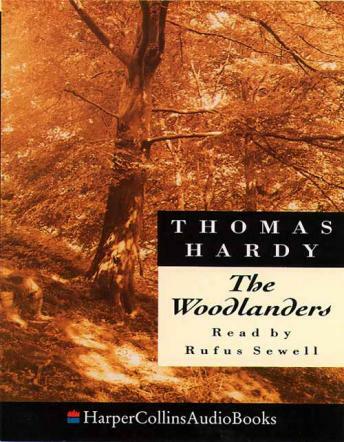 The Woodlanders is one of Hardy's most powerful works and the one he liked best. With brooding sexual undertones, it addresses themes about which the author held strong views - the laws of divorce, the inequalities of society, and the uncertainty of land tenure.